I’ve been out of the Elder Scrolls loop lately, but I got an email today saying that Elder Scrolls Online goes free to play on March 17. After the initial purchase of the game, all the main content is available without a monthly subscription. I’ve always been a huge fan of the Elder Scrolls series. The character progression within the world of Skyrim was amazing; it’s still one of my all-time favorite games. Naturally, I was excited to hear that Bethesda (and Zenimax) was publishing an MMORPG for the series called Elder Scrolls Online. I thought to myself, “Hey! That’d be like World of Warcraft but with Elder Scrolls content. Sweet!” It was sweet. Zenimax invited me to the first public beta. I participated in every beta weekend before release. After the initial launch, I took my time with my main character and enjoyed the story. At that point in the game’s history, there were too many bugs and limitations for me to continue paying a monthly subscription. I was satisfied with my initial experience, but I ended up canceling the subscription after a couple months. [amazon template=amazon embed&asin=B0081Q58AW]I wasn’t really surprised when I got the email saying that Elder Scrolls Online goes free to play on March 17. It was a good game, but there wasn’t anything revolutionary about this MMORPG. After the initial release, it became obvious to many of the experienced MMORPG’ers that the game wouldn’t survive without a free to play option. The monthly fee is ultimately why I stopped playing. As I lost interest in the game, the cost-to-entertainment ratio headed the wrong direction. I’m excited to get back into the game for a while and see what the developers changed. From what I’ve heard, they’ve done a great job incorporating user feedback into the game. However, I’m not a huge fan of them diving headfirst into the micro-transaction world. Even though Elder Scrolls Online goes free to play on March 17, the monthly subscription becomes ESO Plus. The ESO Plus membership offers enticing benefits that allow you to progress through the game at a faster pace. It also gives the member free access to new DLC. Non-subscribers will have to pay for the new DLCs separately. The new “Crown Store” gives access to additional content, customizations, services, etc. Instead of collecting the monthly fee, they anticipate in-game purchases will cover the continued development of the game. Even though I dislike that monetization strategy, I do think they’ll be more profitable with the micro-transactions than they were with the subscriptions. I’m a sucker who gets swept up in the gameplay and spends ridiculous amounts of real money in a virtual world. That’s the way most MMORPGs work at this point. 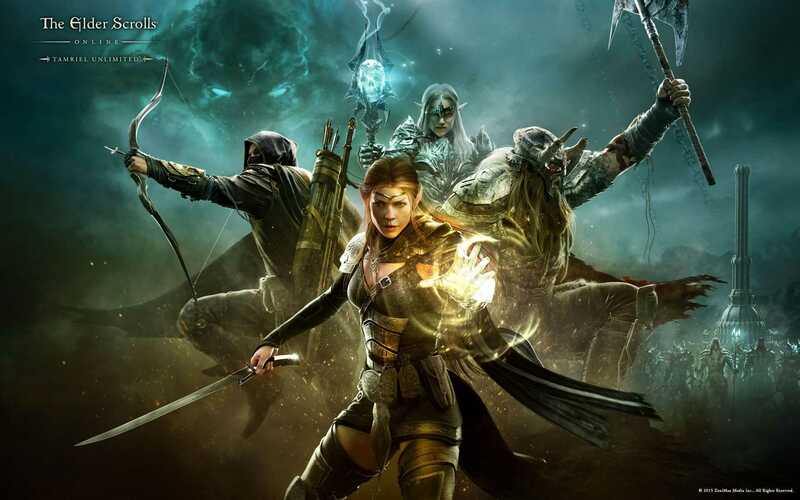 Remember March 17 and join us in Tamriel as Elder Scrolls Online goes free to play. Check out the ESO FAQ if you have questions about the updated game or the new micro-transactions in the Crown Store. We’ve also heard rumors that we may see Bethesda’s next FPS installment of the Elder Scrolls series by the end of the year. We don’t have confirmation for that yet, but it definitely fits the historical timeline for the Elder Scrolls series. Until then, enjoy this new video from ESO.